Seeing that the Activa is already the most successful scooter on the market, it's a logical step for Honda to further expand their scooter portfolio. They first did this with the Activa-i, targeted at the female riders and now they enter the premium segment with the Activa 125. The Activa 125 is fairly similar to the 110cc sibling from all angles. To distinguish the two requires a closer inspection of the details. 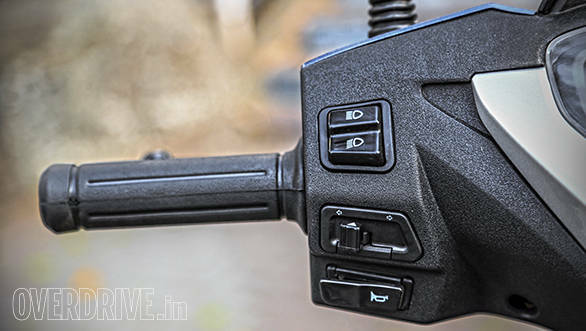 The new head unit now only houses the headlamp and the indicators have migrated to the apron. Separating the two indicators is a chromed Y-shaped element with two faux air vents and this design element is the one stand out feature that distinguishes it from its sibling. Another premium element are the alloy wheels, 12inches up front and 10inches at the rear. 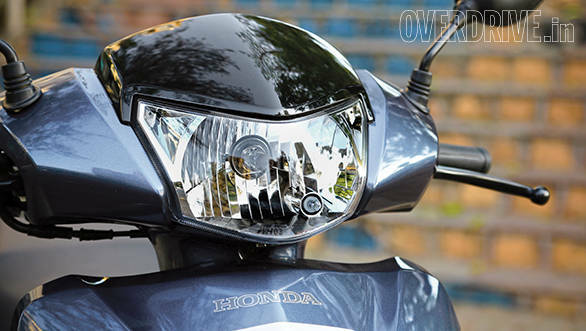 The overall look leans towards the conservative and like its 110cc predecessor, it will appeal to the mature buyer. It features a large new analogue and digital instrument cluster that's fairly well laid out and provides you with speedometer, odometer, trip meter and fuel level info. 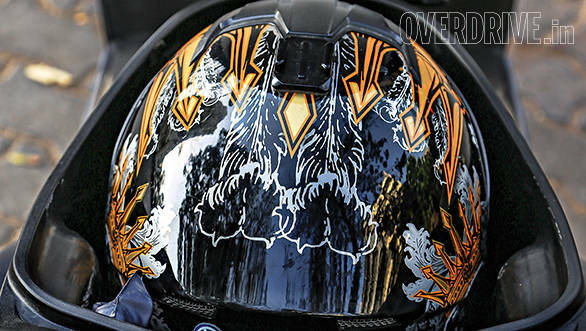 The storage under the large seat is deep enough to fit a small full face helmet and the foot well is large and flat. It does miss out on a lockable front storage space. The fit and finish of the panels and switch gear is top notch and as expected from Honda. It does miss the rear brake lock clamp that makes parking on a slope a bit of a pain. The Activa 125 features a 124.9cc engine that makes 8.7PS and 10.12Nm of torque. Honda has managed this increase in displacement by increasing the bore and stroke dimensions of the smaller 110cc engine. 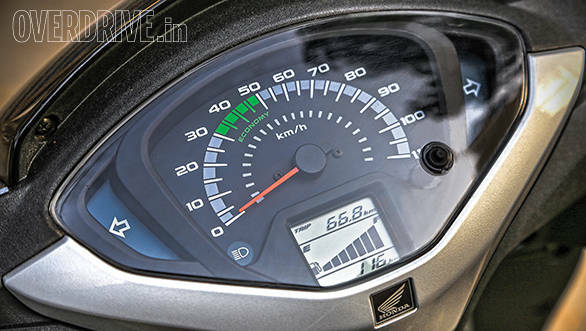 The bottom end as well as the CVT system is identical to the smaller Activa. With these small changes it comes as no surprise then that the Activa 125 feels similar to the 110 when you're riding it too. The refined engine feels very smooth just like its sibling, so smooth in fact that you can't tell if the increase in displacement has brought about any change in urgency when you twist the throttle. The 0-60kmph time has dropped below 10 seconds and the 125 hits 70kmph with the same effort that the 110 reaches 60kmph. Top speed is marginally higher as well. The 125 returned 53.3kmpl in the city and 67.4kmpl on the highway for a combined figure of 57.9 which is only 0.6kmpl down on the Activa 110. A pleasant departure from the Activa 110 is the addition of conventional telescopic forks up front and this has made a remarkable improvement in the way the Activa 125 handles. Its now is much more responsive to steering inputs despite a longer wheelbase. This combined with a fairly firm suspension set up means that this is quite an agile machine. 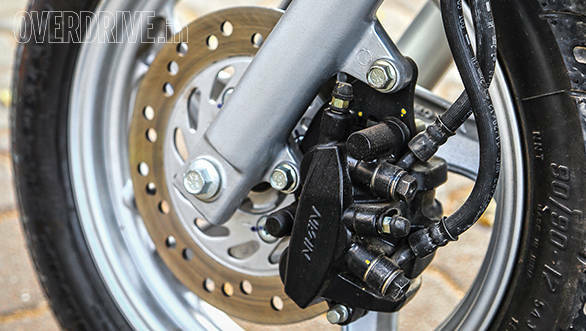 The front disc brake adds to the agility, improving braking performance and feel. It also features the CBS or combined braking system that is also present in the Aviator and this inspires great confidence when you need to jump on the stoppers in an emergency. Despite the new suspension set up, the Activa 125 is still not a very plush ride. Thankfully, it's not as stiff as the Activa i or Dio and does a much better job with absorbing bumps. This means that the ride quality is on the firmer side but it filters the sharpness out of most discrepancies. 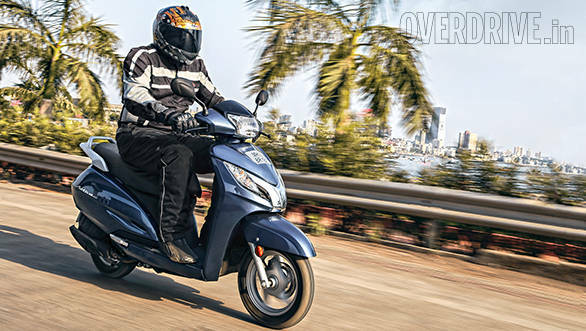 The scooter carries forward most of the attributes that have made the Activa a success and is more of an evolution rather than the revolution that some were expecting. 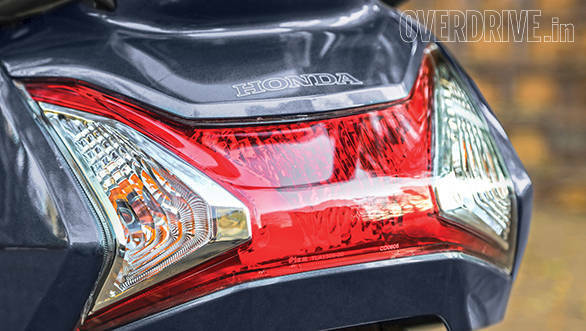 It has a smooth and efficient engine and will no doubt build on that famous Honda reliability that makes the Activa a favourite at nearly every scooter rental in Goa. The increase in displacement may not bring with it a big jump in performance but it does allow Honda to play in the 125cc arena. It may not even be a market changer but it is bound to have the Rodeos and Swishes looking over their shoulders.